You are here: Home / News / EDM News / Electric Daisy Carnival NY 2014 – Lineup Announced! 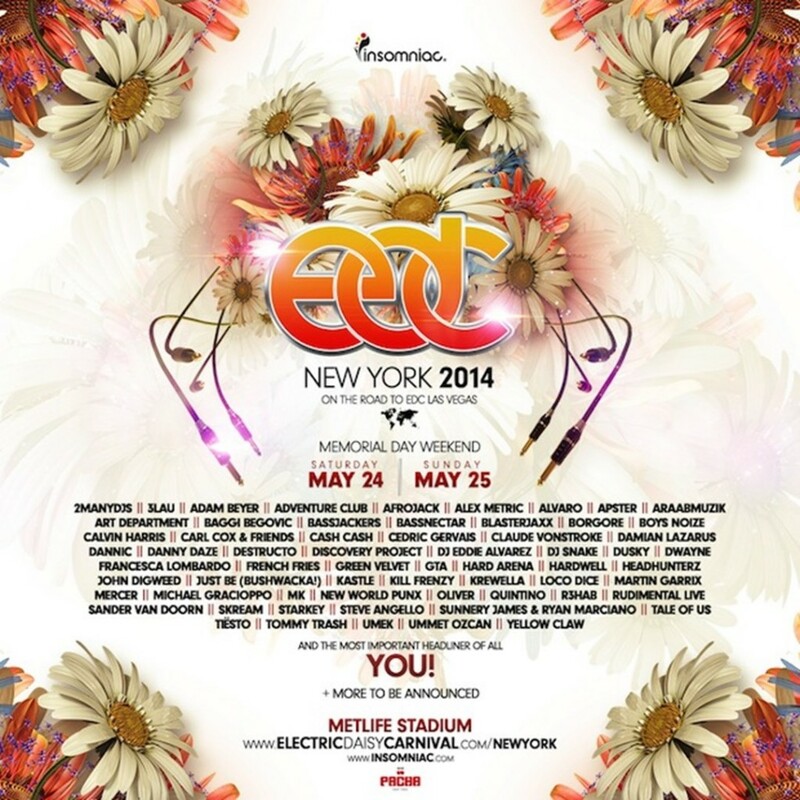 Electric Daisy Carnival NY 2014 – Lineup Announced! Literally coming seconds off the heels of rival festival Mysteryland’s lineup announcement, EDC NY wastes no time in getting their lineup out in the open. Both festivals are competing for festival-goers in the NY metro area, as both festivals are occurring on Memorial Day Weekend just 3 hours apart – with Mysteryland debuting at historic Bethel Woods, home of Woodstock, and EDC returning to the much revered MetLife Stadium venue. Enough talk: who is playing EDC NY!? Here is a brief overview: 3LAU, Afrojack, Alvaro, Calvin Harris, Borgore, Cedric Gervais, Hardwell, Krewella, Headhunterz, Martin Garrix, Loco Dice, Sander van Doorn, Tiesto, Steve Angello, Tommy Trash, and of course, many, many more! Mysteryland may have raised the stakes, but EDC NY delivered! It’s going to be a difficult decision for festival-goers in the area to pick which festival to go to, but either way, a great time is guaranteed!